Bask in the shades of soft pink roses and germini that will set the mind at ease, while crisp limonium blooms add complexity and a sense of wonder. 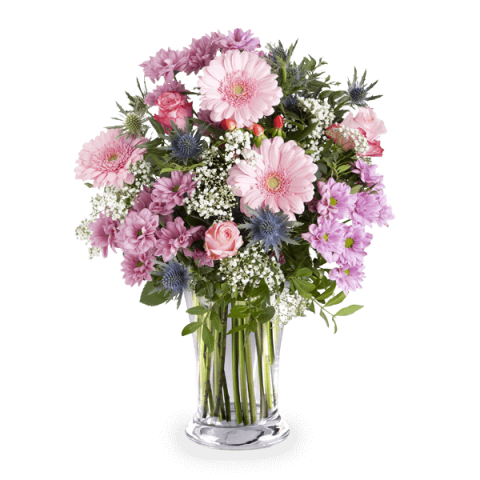 This bouquet is the perfect gift for someone celebrating a new baby or to reaffirm your love at any time of the year. Happy with the product and the service is very impressive.